Every liveSite comes with a fully-functional website. 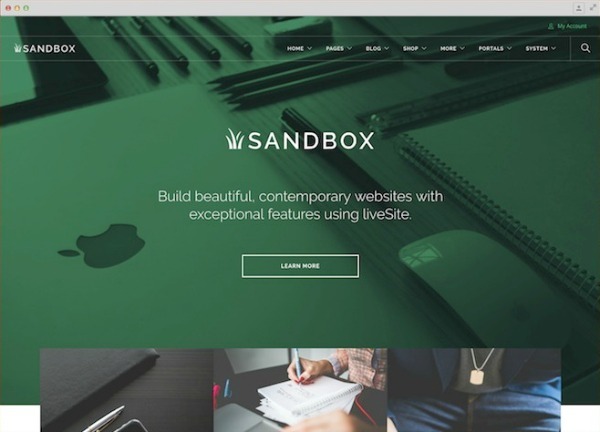 The Sandbox is a fully-functional liveSite website you use to evaluate liveSite and it's features. You'll have full admin access when you login, so have fun poking around! The Sandbox site is also an excellent resource for playing around with features without messing with your own liveSite. Don't worry about breaking anything — the Sandbox will reset every hour.